For several hundred years after the introduction of the smoothbore musket, military firearms development proceeded at a leisurely pace: as an example the Brown Bess or Land Pattern Musket remained in service with the British Army from 1722 to 1838 with only minor incremental updates. Armies of the day found their muskets to be adequately accurate, robust, reliable, easy to use and inexpensive to procure in large numbers. However, in the latter half of the 19th Century, innovation and development in the technology of firearms proceeded at a pace that the military could not ignore, with many new guns being designed, trialled, introduced into service and then rendered obsolete by new developments in just a matter of years. As the 20th century approached the smoothbore musket had been swept aside in military service by such developments as rifling and the self contained cartridge, actions such as the needle gun, falling block, underlever and bolt had been introduced, black powder was giving way to smokeless propellants, sights had vastly improved and the rate of fire increased by the adoption of magazine feed, and for bullets large calibre round balls had been replaced by aerodynamically streamlined, copper jacketed, medium calibre projectiles fired at high velocity. Hand in hand with these technological innovations, the requirements of colonial armies also greatly influenced the design of military firearms. The great European powers had all established colonies throughout the world and their troops found themselves deployed in small garrisons in far flung corners of the world, often required to keep or impose the peace when significantly outnumbered. Their need was for accurate weapons capable of high rates of fire at extended range. So armed, a handful of garrison troops could, and frequently did, wreak terrible slaughter on vastly superior numbers of natives armed only with spears, swords or outdated muskets. The American Springfield 1903 incorporated design elements from the Spanish Mauser 93, the Norwegian Krag, and the German Mauser 98. After a few experimental prototypes and modifications, the model 1903, with a 24-inch barrel and a 5-round internal box magazine was put into production. When America joined the War, The Springfield 1903 was in high demand. Remington, Winchester, and Eddystone were contracted to produce the bolt-action rifle for American troops. By the time the U.S. had entered the war, 843,239 Springfield 1903 had been made. During the Springfield’s first run, each rifle cost the U.S. government $26 to produce! 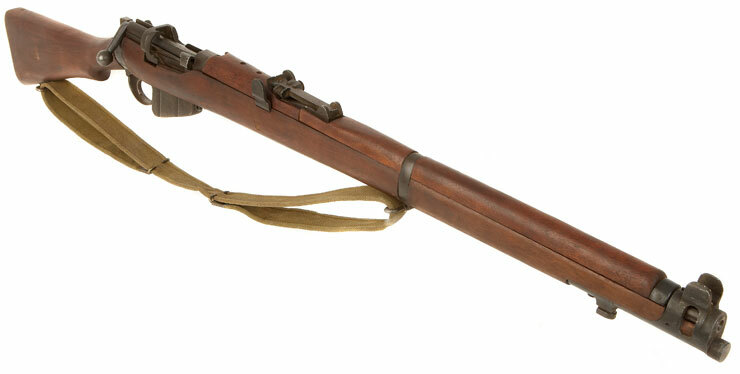 The Springfield 1903 was the shortest, lightest and arguably most accurate of the WWI bolt-action service rifles. The German Mauser Gewehr Model 98, chambered in 7.92mm, paved the way for many other bolt-action rifles. 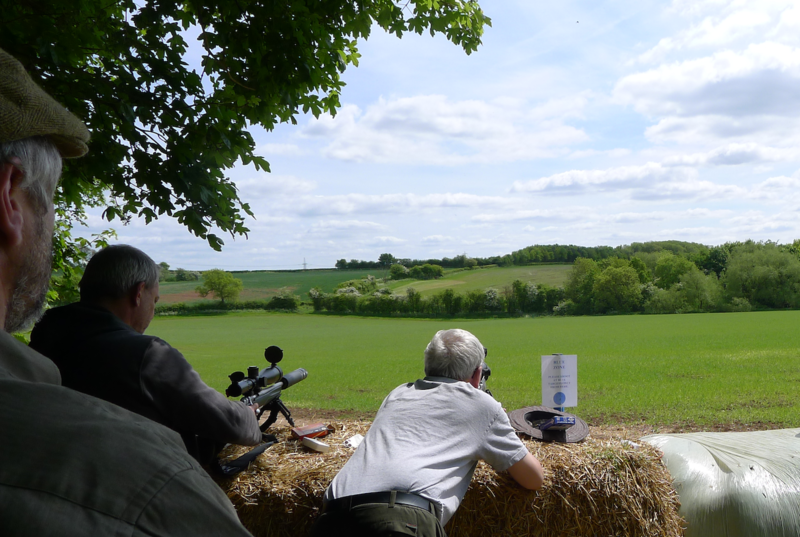 In fact, the Mauser action is the most common action found in bolt-action rifles today. Designed by Peter Paul Mauser in 1898, it had a 29” barrel, a full-length wooden stock, and a Lange Vizier sight (U-Notch rear) which was adjustable from 400 to 2,000 meters. In common with most of its contempories, the Mauser magazine held five rounds. Over 3,500,000 of the Model 98 Mauser were produced from 1898 to 1918. 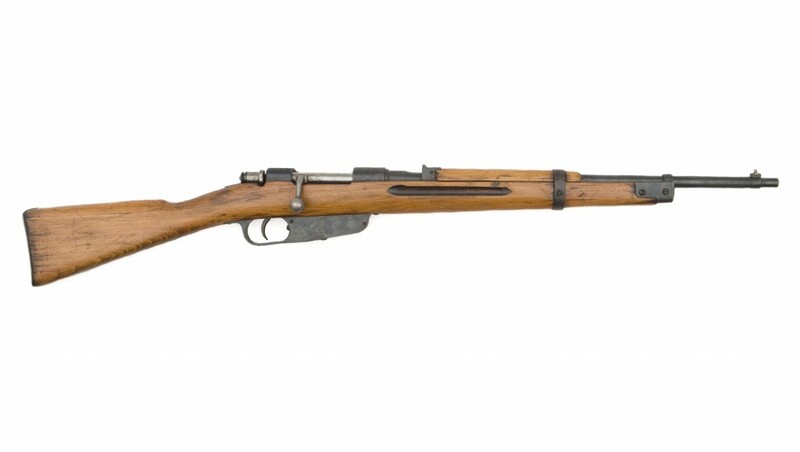 The G98 was arguably the most powerful battle rifle of WW1. A Scottish born Canadian, James Paris Lee, designed a fast and efficient, magazine fed bolt action that was quickly adopted by the British and Empire armies. Initially used with black powder cartridges and barrels designed by Metford, these Lee-Metford rifles soon gained a reputation for reliability and accuracy. When the British army subsequently adopted smokeless powders the rifling in the Lee-Metfords needed to be changed to cope with the greater temperatures and erosion that resulted from these more powerful .303” cartridges. The Royal Small Arms Factory in Enfield developed a new rifling pattern and the opportunity was taken to issue a standard, short, rifle to all arms rather than issuing long rifles to infantry and carbines to mounted troops. The legendary rifle, Short, Magazine, Lee-Enfield was born. The italian M1891 Carcano used a modified Mannlicher-style magazine and held six rounds – one more round than most of the bolt-action rifles used in WWI. The design allowed the Carcano to have a minimal report when shot; a useful feature to have in wartime. The Carcano is chambered for the 6.5×52 rimless cartridge. The barrel life of the Carcano was only about 4,000 rounds, causing the barrel to need replacing in the field. The Carcano, though, is most infamous for its role in the assassination of US President Kennedy. The Russian Mosin-Nagant, first produced in Tula, was the culmination of collaboration between the Belgian designer Leon Nagant and a Russian Army captain. The Mosin-Nagant was also called the “Nagant Three Line” in reference to the Czarist unit of measure equally to 0.1” It is chambered for the rimmed 7.62x54R (.30 caliber) cartridge, still in production to this day for use in medium machine guns. Over 37 million Mosin-Nagant bolt-action rifles have been made, and it has been in service since 1891. These rifles form the ideal basis for a collection of historical battle rifles, each having advantages and disadvantages when compared with its contemporaries. Enthusiasts will debate for hours as to which was truly the best and why, citing in particular the accuracy of the Springfield, the power and strength of the Mauser and the ruggedness of the Mosin Nagant. It has been said that when WW1 began, the German Army brought to the conflict the finest hunting rifle in existence, the Americans arrived with the finest target rifle of its era, but the British simply brought along the finest battle rifle: a rifle less accurate than the Springfield, less polished than the Mauser, but capable of consistently hitting a man sized target at 600 yards, 20 times a minute, irrespective of the mud and weather. In war, that was what really mattered..